The Macleod Review ‘Engaging for Success'(2009). 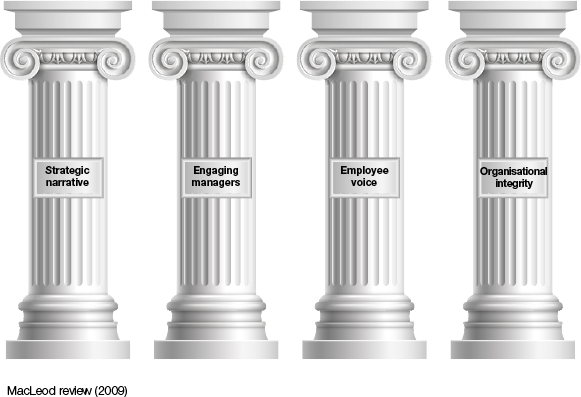 The Four Pillars. understanding of, and promoting employee engagement. Strategic Narrative: A sense of story of where the organisation is going. Engaging Management: Management that gives direction and support. Employee Voices: Employees have voices that are really heard and that matter. Organisational Integrity: Behaviour is consistent with shared values and understanding.